This week: This time, I think about how games can provide a different perspective that allows for the development of an understanding for specific problems that often seem very annoying. Driving behind a large truck often is annoying as it feels like a huge loss of time due to their slow speeds. Things even tend to get worse when the road features a lot of turns or uphill parts that even further reduce a truck’s speed. The annoyance is a result of our own desire to drive at speeds we personally like. Thus, we feel unhappy and potentially even get angry when we are stuck behind such a slow vehicle. Unfortunately, it is also very easy to forget about the vehicle’s technical characteristics that mainly account for the slow speeds. Trucks transport heavy loads that cannot be quickly accelerated. For the purpose of transporting the carfgo, a truck’s transmission often features twice as much gears as a normal car thus allowing the truck to gradually accelerate despite the heavy trailer. At the same time, decelerating and driving through narrow turns is also problematic due to the high momentum of a fully loaded truck. Recently, I played Euro Truck Simulator 2 again. The gameplay of this simulation game not only is relaxing, but also informs players about the challenges of driving those heavy vehicles. The game puts players into the role of a truck driver who can accept various transport contracts. The contracts then require the user to transport specific goods from one European city to a different one. As a result, most of the gameplay is spend on country roads or highways which mostly results in a very relaxing experience. 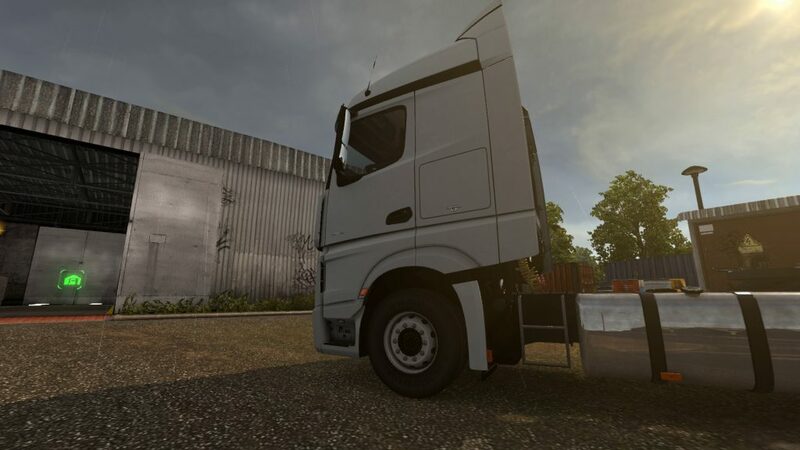 Driving those virtual trucks provides similar challenges to driving a real world truck. A player has to learn to work with the low gear ratio of the trucks to successfully drive them along the roads. Also, the game challenges players to back into the unloading space which is a difficult training process in itself. Players need to develop an understanding for the techniques of controlling a trailer when driving backwards to successfully deliver their cargo. 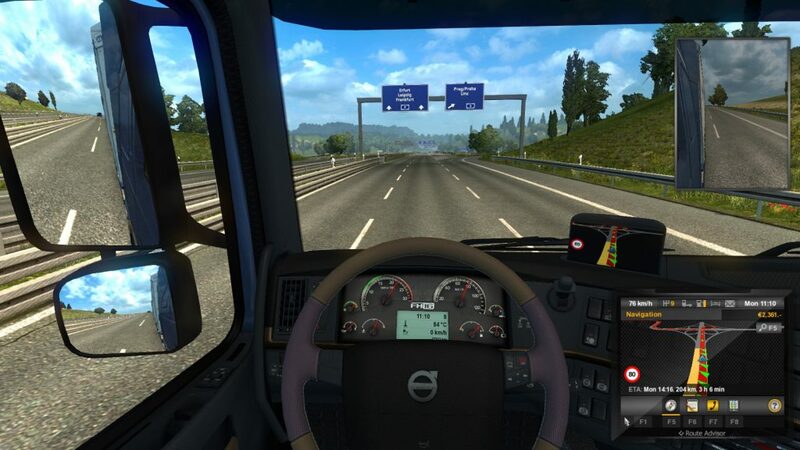 In the end, despite not being super realistic, the game allows for an interesting change of perspective and educates players about the challenges of a truck driver. This in return could result in a reduced amount of frustration when the player is once again stuck behind a truck while driving. Also, the game allows to practice difficult parking maneuvers which can be beneficial for every car driver. It would be interesting to test if the practiced game truck driving knowledge can directly be transferred to the real world. This week: This time, I think about the fascination of being evil and acting against the own principles inside of virtual worlds. Some games allow for an evil or dark gameplay. This is achieved by either presenting an evil subject, allowing for decision-making and/or providing players with a complete freedom to do what they desire. The first approach puts players into the role of a supervillain trying to turn the world into a darker place, a member of a gang or mafia family, or simply making illegal activities to an integral part of the gameplay. For instance, the games of the Grand Theft Auto series allow players to steal vehicles or attack other non-player characters (NPCs) for no good reason. The second approach is implemented by providing the option to choose between different ways of reacting to a request from NPCs. Instead of automatically helping them, players then can also decide to ignore the request or even send the NPCs into a trap to ultimately loot their remains. Frequently, this method is combined with a narrative that changes based on a player’s decisions. For instance, in the Mass Effect games, a player can decide to let an NPC die instead of helping him. This then results in the outcome that the player will not have a second encounter with this NPC later on. Also, it changes the entire story and leads to a different ending. Moreover, this method lets a player experience ethical questions and challenges her morale-decision making ability. Finally, open world games can be used to provide players with a complete freedom. This, however, also requires the implementation of specific player abilities allowing for the execution of evil activities inside of the virtual worlds. For instance, Skyrim allows players to break into the houses of NPCs to steal their belongings or to attack other NPCs and to play the game as an outlaw. Personally, I find it very interesting to try out things that are completely against my own principles. Normally, like in the real world, I like to interact with the virtual worlds in a good way and try to help all the NPCs I encounter. However, from time to time, it is refreshing to simply experiment with actions and reactions that would occur when I channel my darker-inner-self. In the end, it is fascinating to be evil from time to time. This week: This time, I think about how Let’s Plays are an interesting way to enjoy a complex game’s gameplay when not enough time is available to play the game oneself. So far, I mostly looked at Let’s Play videos (LPs) from the point of view of a content creator and viewers who enjoy playing the game themselves. This time, I like to introduce another aspect of watching LPs: the chance of experiencing the game in a way that is not possible for the viewer. Open world (building) games allow for a very creative gameplay as players can create impressive virtual environments from scratch, such as vivid towns, massive buildings and other complex structures. While the underlying principles are quite simple, completing such an advanced project often requires a huge amount of time. The games require players to gather and refine materials needed for the construction. Depending on the abundance and transmutation costs, this can take many hours of gameplay to store enough resources. The creative part of constructing the project also requires time. On the one hand, games can challenge a player to add piece by piece to a building which can result in a huge amount of gametime for large projects. On the other hand, open world games avoid restricting the player hence a player has the complete freedom while building. As a result of this, a user might realize that a particular part of a projects needs to be restructured thus requiring additional time to finish a project. For instance, building a rail system allowing for a quick travel in Minecraft is a simple task. A player merely has to place rails adjacent to each other to connect them and construct a rail line. However, crafting a rail requires a specific amount of wood and iron which needs to be gathered. In addition, the iron needs to be smelted before it can be used. Finally, player can express their creativity by building rail systems of various shapes thus they might be challenged to refine the layout multiple times until they are satisfied. In sum, achieving something spectacular can require a lot of time and dedication. This time constraint, however, can make it very difficult for players who simply cannot afford putting so much effort into such a project. Thus, it can already be very rewarding and entertaining watching others implement their ideas and following their progress. When creating an LP episode, content creators can edit out the laborious gameplay of gathering resources or assembling structures out of small pieces. Instead, they simply show the progress of their builds over time. Naturally, this is not the same as playing the game oneself. However, I personally like watching other players‘ ambitious projects becoming reality as it inspires me. Also, due to other tasks, I currently cannot immerse myself that much in a game, but I really like to see what is possible. In the end, although LPs are not a substitute for the real gameplay, they can still provide viewers with experiences they hardly can make under normal circumstances.